Iron Liberty News, is published by Iron Liberty Group LLC, owned and operated by retired US. Air Force Col Rob Maness producing and sharing real news, focused on liberty and prosperity in America. Retired Colonel Rob Maness is owner of Iron Liberty Group and Chairman of GatorPAC. He graduated from the US Navy Explosive Ordnance Disposal School in January 1980 and served in three assignments countering terrorist bomb makers before being selected for Officer and Flight training in 1985. Rob served on the Joint Staff, commanded the oldest bomber squadron in the Air Force and the sixth largest installation before retiring from active duty in December 2011. Rob entered the political arena in 2014 when he ran for the U.S. Senate and again in the 2016 campaign year. He raised a total of $4.3 million between the two races and gained valuable experience and credibility in the political environment. 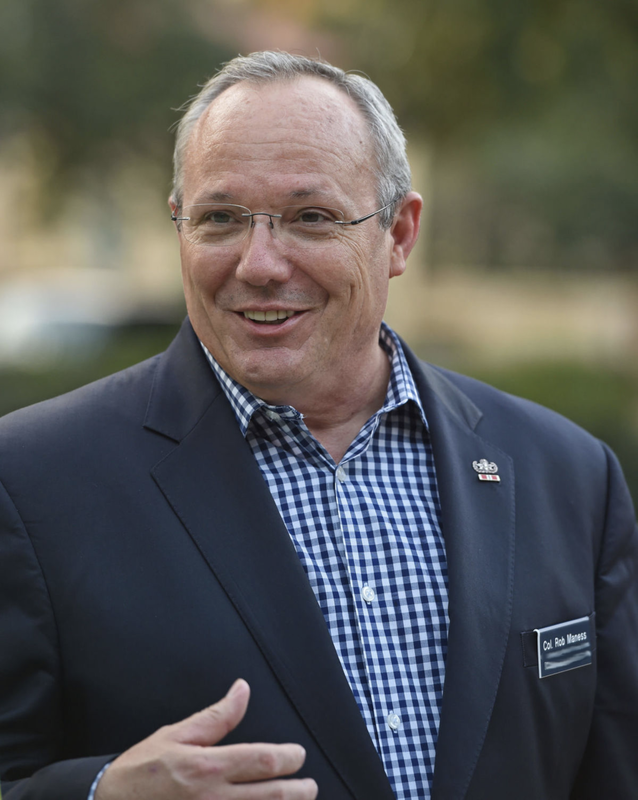 In the 2016 campaign race Maness was the earliest and strongest candidate supporter of President Trump’s effort to defeat Hillary Clinton in Louisiana. Of note, he encouraged President Trump to come to Louisiana after the historic August flooding and made his campaign team available to plan and advance the trip, which turned out to be a key event and turning point in the Trump campaign, leading to his resounding Electoral College victory. Rob has proven his competence at the local, state, and federal levels of government with his demonstrated leadership and effectiveness as a steward of our citizen's tax dollars. He has broad experience working at the Louisiana State Legislature, in the national budget process, national emergency response decision-making, law enforcement, successful community relations with governments at all levels, and working directly with citizens to meet today's challenges. He has provided direct, executive oversight to local schools in coordination with elected school boards, working to make them secure and more effective to meet the needs of America's military children. His leadership and combat experiences give him a unique perspective when considering how national action impacts our American families. Active in the community, Rob is an elected member of the Republican Party Executive Committee representing St. Tammany Parish Council District 1 and serves on the board of the only Republican Men's Club in Louisiana. During his military service, Colonel Maness led numerous combat operations, including as a bomber squadron commander in Enduring Freedom and Iraqi Freedom. Colonel Maness served as an enlisted bomb disposal technician in three assignments countering terrorism before being commissioned and selected for flight training. As a Joint Chiefs of Staff operations officer he was on duty in the National Military Command Center located within the Pentagon during the September 11, 2001 attack. In the ensuing months, he directly assisted the United States national security team with creating, synchronizing, and executing the campaign plan for the global war on terrorism. Colonel Maness authored the first theater nuclear war plan and designed decision-making tools for the Presidential nuclear decision handbook strengthening U.S. extended strategic deterrence policy in European and Pacific regions. He went on to command Kirtland Air Force Base, Albuquerque, NM, the sixth largest U.S. Air Force Base encompassing 53,000 acres and 22,000 employees, housing our nation’s most critical assets. His military awards and combat decorations include the Legion of Merit, the Bronze Star and Air Medal. After running for the U.S. Senate, Rob founded GatorPAC, a Federal political action committee. The PAC educates grass roots political activists on the most effective ways to influence their elected officials, get a candidate elected, or to fight for a cause. It advocates for policies that protect your liberty, fight for limited government, and ensure prosperity. He is also a founding board member at the Military Advocacy Project of Louisiana, Inc., a veteran's advocacy group committed to preventing veteran suicides and ensuring military families have equal access to benefits. He has served as a non-voting board member of the Albuquerque Chamber of Commerce and Hispano Chamber of Commerce in an official duty as Commander of Kirtland AFB. As president of his local chapter of the Military Officer's Association of America, he led a team that created an annual scholarship fund for graduating high school students. Rob is a Life Member of the NRA, Veterans of Foreign Wars, the American Legion, Disabled American Veterans, and the Military Officer's Association of America. He is also a member of the Louisiana Military Order of Foreign Wars and the Society of the Sons of the Revolution. Rob completed his undergraduate degrees while attending night school at the University of Tampa and holds master's degrees from Harvard University's Kennedy School, the Air Command and Staff College, and the US College of Naval Warfare. Rob is married to the former Candy Smith. They have five children, including three sons serving in the military (one retired US Navy, one a former US Army guardsman, one active US Air Force), and five grandchildren. They are members of the First Baptist Church, Covington Louisiana.